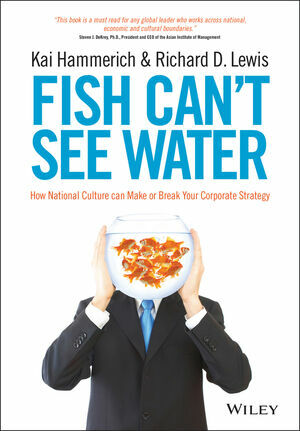 Using extensive case studies of successful global corporations, this book explores the impact of national culture on the corporate strategy and its execution, and through this ultimately business success—or failure. It does not argue that different cultures lead to different business results, but that all cultures impact organizations in ways both positive and negative, depending on the business cycle, the particular business, and the particular strategies being pursued. Depending on all of these factors, cultural dynamics can either enable or derail performance. But recognizing those cultural factors is difficult for business leaders; like everyone else, they too can be blind to the culture of which they are a part. The book offers managers and leaders eight recommendations for recognizing those cultural factors that negatively impact performance, as well as those that can be harnessed to encourage superior performance. With real case studies from companies in Asia, Europe, and the United States, this book offers a truly global approach to organizational culture. A welcome response to the flat-Earth fad that argues we're all alike, this book offers a nuanced and practical view of cultural differentiators and how they can enable or derail business performance. Kai Hammerich, MBA (Kellogg Business School with Distinction), MSc. is Danish and an international leadership and talent consultant with Korn Ferry, living in London. He has been nominated by Business Week as one of the most influential headhunters worldwide. He advises boards and leadership teams of global corporations on talent, succession and cross cultural transformations that accelerate corporate performance. Richard D. Lewis is a well renowned British linguist who created Richard Lewis Communications – a language school for executives as well as a company that advises on cross-cultural issues facing business executives. Richard has written a number of books including the bestselling When Cultures Collide.